Skin Bar uses the gold standard in the industry for light based skin treatments, they’re called Photofacials. 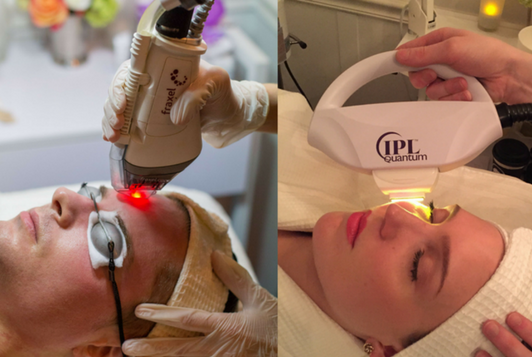 Intense Pulsed Light (IPL) works on all types of skin. Three wavelengths of light target different levels of pigmentation. Red spots are broken capillaries and rosacea. 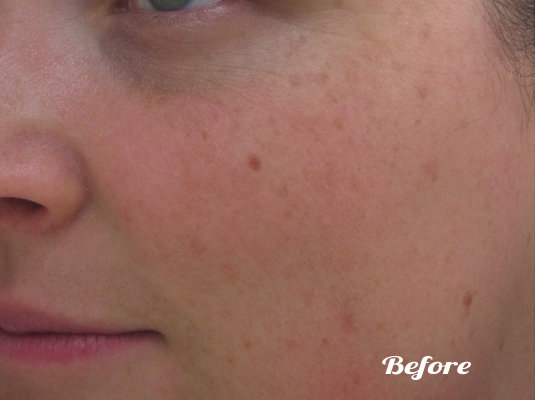 Brown areas are sun spots or melasma. 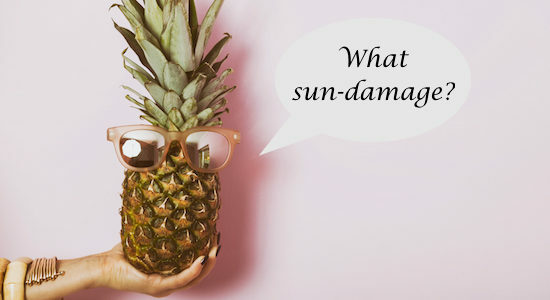 First your Skin Care Specialist will target the deeper pigmentation. Then we will address the darker spots remaining on the top layers. Just so you know you’ll need 5 – 6 treatments, 1 month apart, to see permanent results. 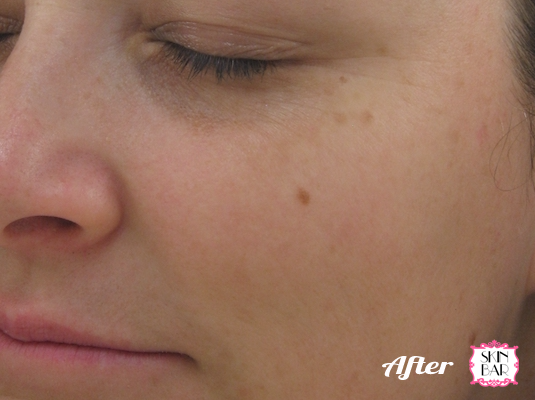 About 2 weeks after the photofacial, the dark spots flake off. Diamond Dermabrasion or a peel will help exfoliate the skin.